Mary Kay Andrews. Deep Dish. The Cooking Channel is looking for its next big star, and Gina is certain that she fits the bill. Trouble is, the execs also have their eyes on Mr. “Kill It and Grill It” Tate Moody, the star of a hunting, fishing, and cooking show named Vittles. Tate is the ultimate man’s man, with a dog named Moonpie and a penchant for flannel shirts. He’s also a tasty side of beef with a swooning female fan base. All Gina has on her side are a free-spirited, college-dropout sister and a mother who calls every single day. Little does Gina know, though, that she and Tate are soon to embark on the cook-off of their lives, spiced up by a little ingredient called love. Judy Baer. 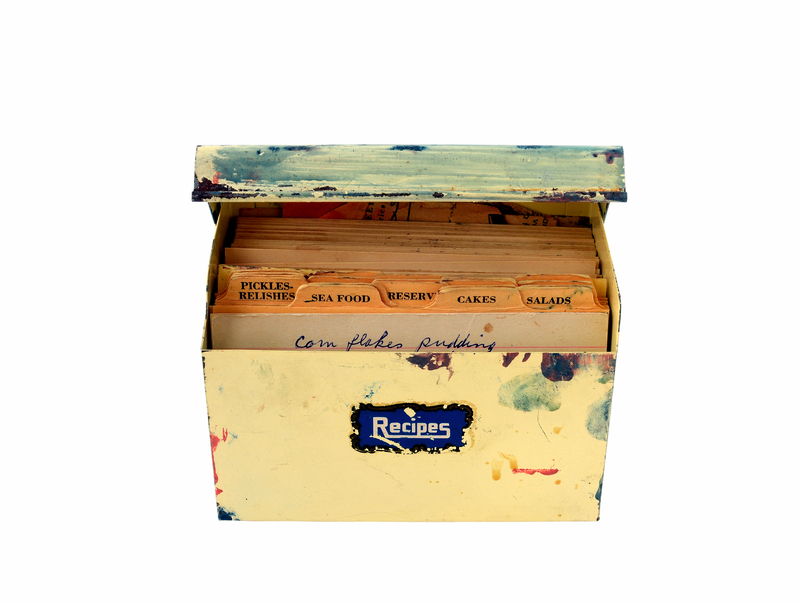 Recipes and Wooden Spoons. While cleaning out the cluttered basement of Grace Chapel Inn, Jane Howard finds an old cookbook brimming with her mother’s recipes and hand written notes. Through these precious, fragile pages of the recipe book, Jane comes to discover the spirit of her mother, Madeleine, who died while giving birth to Jane. But when the inn gets busy and money troubles threaten, Jane wonders if moving back to Acorn Hill was a big mistake. Can her crisis of faith lead to a new solution for the inn – and for Jane herself? Stacy Ballis. Off the Menu. Nancy Verde Barr. Last Bite. After ending a bad relationship, Casey Costello, an executive chef at a morning television show, swears off men. Who has the time anyway? She’s busy overseeing a rambunctious food-prep crew in a kitchen the size of a closet; trying to please high-maintenance celebrity guest chefs; and dealing with her large extended Italian American family, who believe that the solutions to life’s problems involve food. And in the midst of her high-energy, stress-inducing career—punctuated by a steady stream of parties and restaurant openings that must not be missed—she’s trying to uncover why Sally Woods, a grand old dame of the culinary world and regular on the television show, is suddenly ready to jump ship and find a new station and a new executive chef. When Danny O’Shea, a handsome chef from one of New York’s hottest new restaurants, makes a guest appearance on the show, Casey smells trouble. But feelings ignite faster than a flambé dessert, especially when Danny whips up a few surprises during a television shoot in Italy. Narrated in Casey’s smart and refreshingly disarming voice, Last Bite is an irresistible culinary caper, with characters whose appetites are as big as their personalities. Having joined Elm Creek’s quilting circle, newest member and chef Anna remembers her past and present experiences in her community’s kitchens and becomes the writer of the group’s official cookbook, in a tale complemented by one hundred recipes. Cookbook writer Rachel Samstat–out of analysis and seven months pregnant–discovers that her husband is into analysis and an affair, and suffers six weeks of intense heartburn. Laura Esquivel. Like Water for Chocolate. Despite the fact that she has fallen in love with a young man, Tita, the youngest of three daughters born to a tyrannical ranch must obey tradition and remain single and at home to care for her mother. Andrea Israel. The Recipe Club. Lilly and Val are lifelong friends, united as much by their differences as by their similarities. Lilly, dramatic and confident, lives in the shadow of her beautiful, wayward mother and craves the attention of her distant, disapproving father. Val, shy and idealistic—and surprisingly ambitious— struggles with her desire to break free from her demanding housebound mother and a father whose dreams never seem to come true. In childhood, “LillyPad” and “ValPal” form an exclusive two-person club, writing intimate letters in which they share hopes, fears, deepest secrets—and recipes, from Lilly’s “Lovelorn Lasagna” to Valerie’s “Forgiveness Tapenade.” Readers can cook along as the friends travel through time facing the challenges of independence, the joys and heartbreaks of first love, and the emotional complexities of family relationships, identity, mortality, and goals deferred. The Recipe Club sustains Lilly and Val’s bond through the decades, regardless of what different paths they take or what misunderstandings threaten to break them apart . . . until the fateful day when an act of kindness becomes an unforgivable betrayal. Now, years later, while trying to recapture the trust they’ve lost, Lilly and Val reunite once more—only to uncover a shocking secret. Will it destroy their friendship, or bring them ever closer? John Lanchester. Debt to Pleasure. An Englishman of indeterminate age whose spiritual home has always been France, Tarquin embarks on a journey of the senses, regaling us with his wickedly funny, poisonously opinionated meditations on everything from the erotics of dislike to the psychology of a menu, from the perverse history of the peach to the brutalization of the British palate, from cheese as “the corpse of milk” to the binding action of blood. As Tarquin peels away the layers of his past, he proves himself a master of sly wit and subversive ideas. Only gradually, insidiously, do the outlines of a distinctly quirky aesthetic and a highly eccentric moral philosophy emerge, until the truth becomes unavoidable: This is not the voluptuary’s memoir it purports to be, and Tarquin Winot is a master of something more than wit and opinion, something infinitely, quiveringly, sinister. Ashton Lee. Cherry Cola Book Club. To save the library and her job, librarian Maura Beth Mayhew starts the Cherry Cola Book Club and soon the booklovers of Cherico, Mississippi gather together to talk about literary classics, romance, and dreams over potluck dinners. Amulya Malladi. Serving Crazy with Curry. Between the pressures to marry and become a traditional Indian wife and the humiliation of losing her job in Silicon Valley, Devi is on the edge–where the only way out seems to be to jump. . . . Yet Devi’s plans to “end it all” fall short when she is saved by the last person she wants to see: her mother. Forced to move in with her parents until she recovers, Devi refuses to speak. Instead, she cooks . . . nonstop. And not the usual fare, but off the wall twists on Indian classics, like blueberry curry chicken or Cajun prawn biryani. Now family meals are no longer obligations. Devi’s parents, her sister, and her brother-in-law can’t get enough–and they suddenly find their lives taking turns as surprising as the impromptu creations Devi whips up in the kitchen each night. Then a stranger appears out of the blue. Devi, it appears, had a secret–one that touches many a nerve in her tightly wound family. Though exposing some shattering truths, the secret will also gather them back together in ways they never dreamed possible. Melissa Senate. Love Goddess’ Cooking School. Holly Maguire’s grandmother Camilla was the Love Goddess of Blue Crab Island, Maine–a Milanese fortune-teller who could predict the right man for you, and whose Italian cooking was rumored to save marriages. When Holly inherits Camilla’s Cucinotta, she’s determined to forget about fortunes and love and become an Italian cooking teacher worthy of her grandmother’s legacy. Karen Stolz. World of Pies. In a small town in Texas in the 1960s, young Roxanne journeys toward adulthood as he copes with a pie-baking contest that becomes a lesson in racial politics, a crush on the new female postal worker, and the death of her father and her mother’s remarriage, in a debut novel that features recipes following each chapter. Lori Wilde. First Love Cookie Club. When a relentless stalker forces her to return home to Twilight, Texas, best-selling children’s book author Sarah Collier, who doesn’t believe in love, encounters her high school crush, Travis Walker, who still has the power to make her heart melt. When Molly and Cassie are assigned to work in the kitchen as a punishment for their food fight, they realize that the only way they are going to be released from the duty is to cooperate and learn to cook. Nancy Fairbanks. Carolyn Blue series. Joanne Fluke. Hannah Swensen mysteries. Tamar Myers. Pennsylvania Dutch mysteries. Isis Crawford. Mystery With Recipes series. Jan Karon. Mitford Cookbook & Kitchen Reader. Presenting more than 150 recipes from the popular inspirational series, a fan’s cookbook shares a wealth of tips, hints, jokes, culinary quotes, and side-dish sidebars as well as the preparation instructions for such fare as Miss Sadie’s Apple Pie, Puny’s Cornbread, Emma’s Pork Roast, and Marge’s Sweet Tea with Peppermint. Shaunda Kennedy Wenger. The Book Lover’s Cookbook. A collection of culinary delights inspired by great works of literature includes nearly two hundred recipes that include Fanny Flagg’s Fried Green Tomatoes, Pooh’s Honey Kisses, No Dieter’s Delight Chicken Neapolitan from Stephen King’s Thinner, Vanilla Frosting from Fatherhood by Bill Cosby, and Sober Shepherd’s Pie from Helen Fielding’s Bridget Jones’s Diary. Chelsea Monroe-Cassel. A Feast of Ice & Fire: the official Game of Thrones companion cookbook. Ever wonder what it’s like to attend a feast at Winterfell? Wish you could split a lemon cake with Sansa Stark, scarf down a pork pie with the Night’s Watch, or indulge in honeyfingers with Daenerys Targaryen? George R. R. Martin’s bestselling saga A Song of Ice and Fire and the runaway hit HBO series Game of Thrones are renowned for bringing Westeros’s sights and sounds to vivid life. But one important ingredient has always been missing: the mouthwatering dishes that form the backdrop of this extraordinary world. Now, fresh out of the series that redefined fantasy, comes the cookbook that may just redefine dinner . . . and lunch, and breakfast. A passion project from superfans and amateur chefs Chelsea Monroe-Cassel and Sariann Lehrer—and endorsed by George R. R. Martin himself—A Feast of Ice and Fire lovingly replicates a stunning range of cuisines from across the Seven Kingdoms and beyond. From the sumptuous delicacies enjoyed in the halls of power at King’s Landing, to the warm and smoky comfort foods of the frozen North, to the rich, exotic fare of the mysterious lands east of Westeros, there’s a flavor for every palate, and a treat for every chef. Presents recipes for dishes served in Sir Arthur Conan Doyle’s stories of the great detective, Sherlock Holmes.